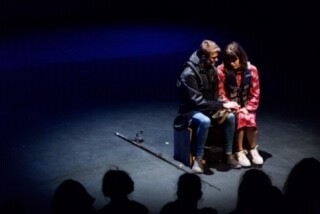 For Bodmin College, Ellie Fullwood and Matt McGuinness performed ‘Fishing’ a play written by Ellie, specially for the Secondary Schools Drama Showcase at AMATA-Falmouth University on 10th January 2019. As the theme was Cornish Women, Ellie based it on the writing process inspired by Anna Maria Murphy (Kneehigh Theatre, Radio 4). 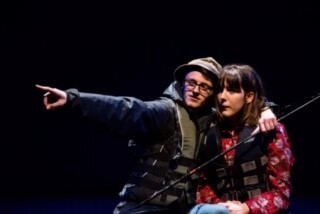 Ellie had worked with Anna Maria Murphy on a Kneehigh Rambles ‘Walk with Me’ App project in Bodmin and Helston in Year 12. This fabulous festival piece follows the successful news that Ellie has won a paid commission to write a play for The Minack Youth Theatre to be performed at the Minack Theatre , Land’s End, in the Summer.